My Directed Writing Approach takes the best methods I have discovered in order to teach each type of writing—color-coded research for research-based projects, “Topic of Paragraph” commitment for teaching paragraph breaks, The Three P’s of Persuasion for persuasive writing, the “section-paragraph-sentence” method for longer papers, story writing mapping, Paragraph House for young writers, 1-3-1 essay outlines, my Checklist Challenge for revising, and much more. Each Directed Writing Approach “method” is tried and true after fifteen years of my writing one hundred books and over fifty thousand pages! 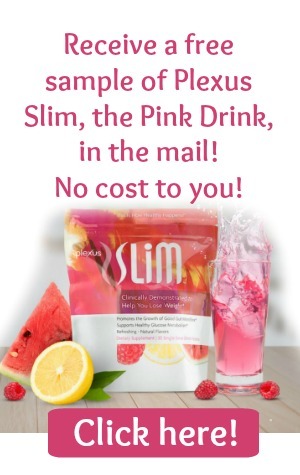 Click on the picture above to view free samples of these books! 2. They contain a combination of projects—those with “given material” to write from and those that are completely original (in which student finds material on his own to use as his source). Students are taught a wide variety of outlining methods in all of my books—Key Word Outlines From Given Material, Directed Brainstorming, Persuasive Mapping, The Paragraph House Outline, Split Paper Technique, Sentence-by-Sentence (S-by-S) Outlining from original sources, Q and A Outlines, Five W’s outlines, Scene Outlines for Story Writing, Formal Outlines for research, and much more. I teach most writing types/projects by giving the student source material to take notes from first—then having the student branch out and write that same type of writing finding his own source. It is this combination of “given material” first followed by student-found material that gives the student confidence to write that type of paper or story. This method keeps the student from becoming too dependent upon given source material while at the same time helping him learn to find source material (or create his own!) after using given passages first. It is a win-win method. 3. 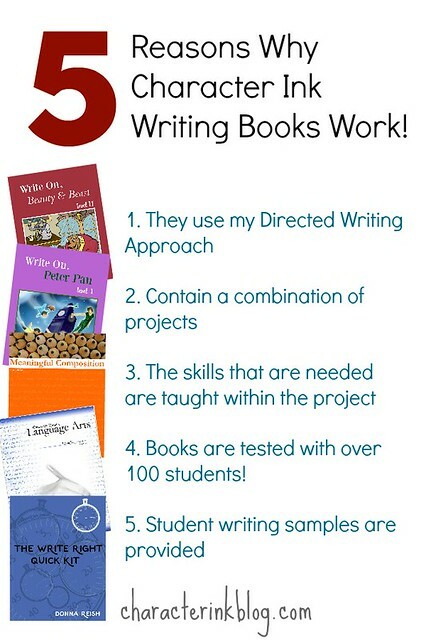 The skills that are needed for each writing project are taught within that writing project. To ask a student to write a paper using three sources and two quotations without teaching the student the skills to complete those steps is cruel! When a project is being taught in my books, the student is also taught whatever skills are needed to complete the project. 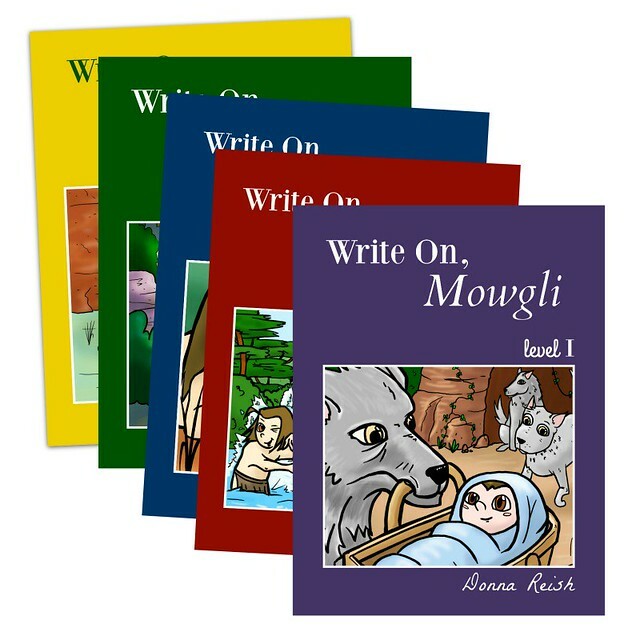 For example, if the student is writing a story about an animal escaping, he will be taught words and vocabulary that describe various sizes and types of animals as well as how to use onomatopoeia to describe animal sounds. If a student is told to write a persuasive paper, he will be taught the elements of persuasive writing first. If he is writing a research report in which quotes are to be cited, he will be instructed first in how to use quotations (in an earlier lesson) then in how to cite them for that particular paper. These many “how to” lessons give students the tools to write whatever they are assigned easily and with confidence. 4. Books are tested with over one hundred students each semester! 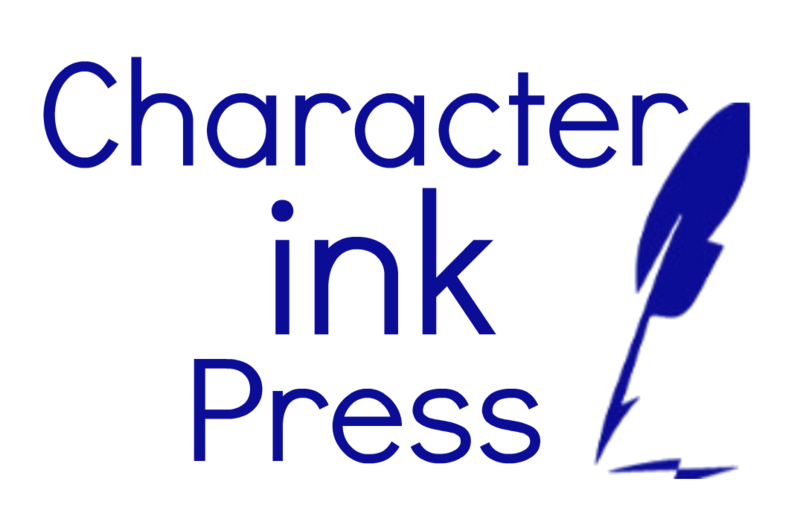 Every year Character Ink has local cottage classes for homeschooled students in which small groups of students (six to ten per class) take either our complete language arts (Character Quality Language Arts) or our composition-only (Meaningful Composition) classes. As we test our books, we make notes in the margins, discuss them with our students (why was this one so hard for you when the last one was easier? ), talk among the teachers, then go back and fix the books, tweak the lessons, and even drop lessons that are too confusing or uninteresting to students. You can’t possibly know if a lesson or project is a good one until you have sat across the table from eight junior high boys to watch their expressions (and/or glossed over looks in their eyes!). This is how we know our programs work! 5. Student writing samples are provided for all original writing projects and portions of samples are provided for smaller assignments. Our books have a little extra something that is seldom found in textbooks and certainly never found at the level of ours—student samples! Each of the original projects have a full-length student sample of that project. 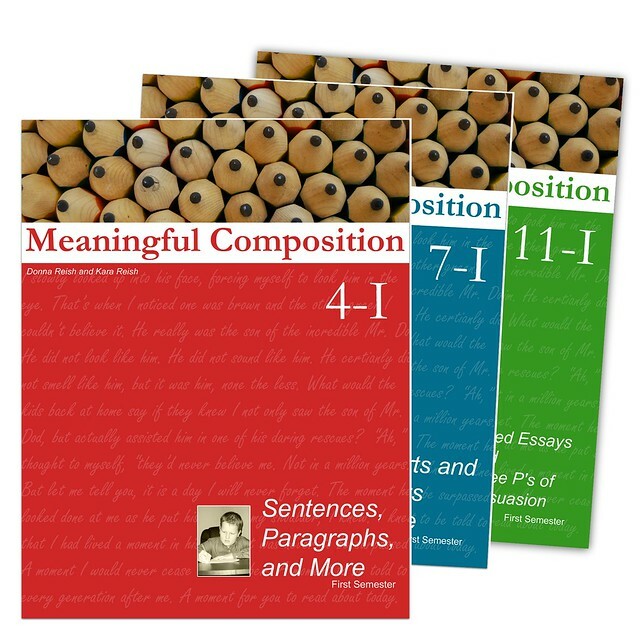 As a matter of fact, we use the student samples in our books to teach from—starting with Thesis Statements, Thesis Statements “Reloaded,” and other LINK sentences on to paragraph breaks, proper quotation use, scene development in stories, and much more. Students understand the writing project so much better when there are models for them to look at and when they see what the expectations are for the project. 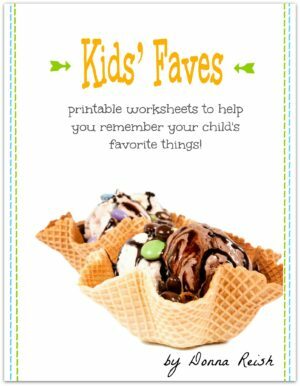 Parents love our student samples because it helps them measure their student’s skills in following the instructions for each project (and gives the parent confidence to know if her student is completing the assignment correctly). 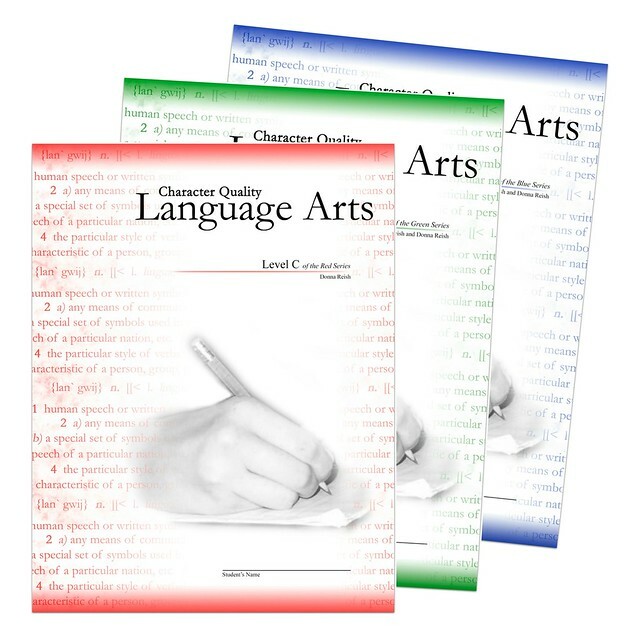 Our student writing samples are provided in all types of projects—expository essays, biographical reports, research reports, short stories, twice-told tales, persuasive essays, and more. Your student will know from the beginning what each project involves as the book takes him through a sample to see what great project he will be doing! Student samples are invaluable! 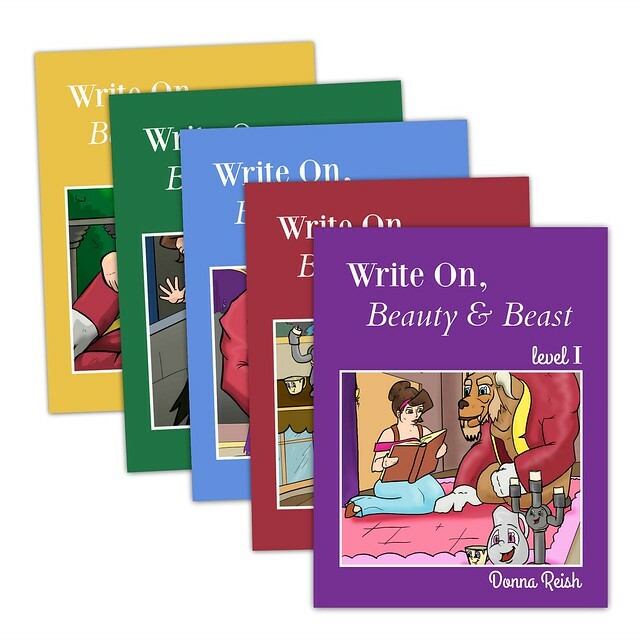 *Write On downloadable and print books (Write On, Mowli; Write On, Peter Pan; Write On, Beauty and Beast); Meaningful Composition; Character Quality Language Arts; and other downloadable e-books.